The moment the NBA Finals end and the Larry O’Brien Trophy is raised, all eyes turn to the NBA Draft. Comparing the NFL and NBA draft is like comparing apples and oranges – from roster depth to team positions, the two leagues have almost nothing in common completely different strategies – but the most glaring difference between the two is the abundance of talent available near the end. While the NFL has a few late-round gems and the back-handed honor of “Mr. Irrelevant” given to the final pick of the draft, diamonds in the rough have proven to be a dime a dozen for NBA hopefuls. Among the many sleepers, these draft day steals are simply stunning. Nikola Jokic still hasn’t been in the league very long, but there’s already no doubt that skipping the Serbian center was an enormous gaffe by many. Initially, it looked like the Denver Nuggets selecting Jokic with the 41st overall pick was right on par with his talent, but that changed fast. During the 2015-16 season, the Nuggets actually had a unique problem with three young, undeveloped centers – the other two being Joffrey Lauvergne and Jusuf Nurkic. While Lauvergne proved to be the third wheel, Denver trading Nurkic to the Portland Trail Blazers during the 2016-17 season opened the door for Jokic to finally take over as the team’s lead center. The success was almost immediate. Jokic saw his stats rise across the board through the remainder of the season and, the following season (2017-18), Jokic went on a tear. Despite his towering 6-foot-10 frame, Jokic began flashing handles and vision that looked like that of a point guard. It was no coincidence that that, during trade talks when Nurkic was made inactive, Jokic recorded his first triple double in February 2017. 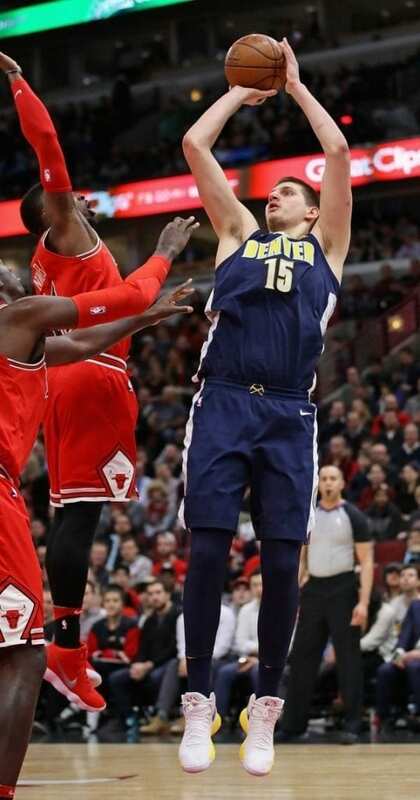 In the season and change that proceeded, Jokic racked up an astounded 16 triple-doubles that has cemented his spot as one of the most skilled big men in the NBA. For four years, undersized power forward Draymond Green developed his game at Michigan State, making him one of the most complete players in the NCAA. 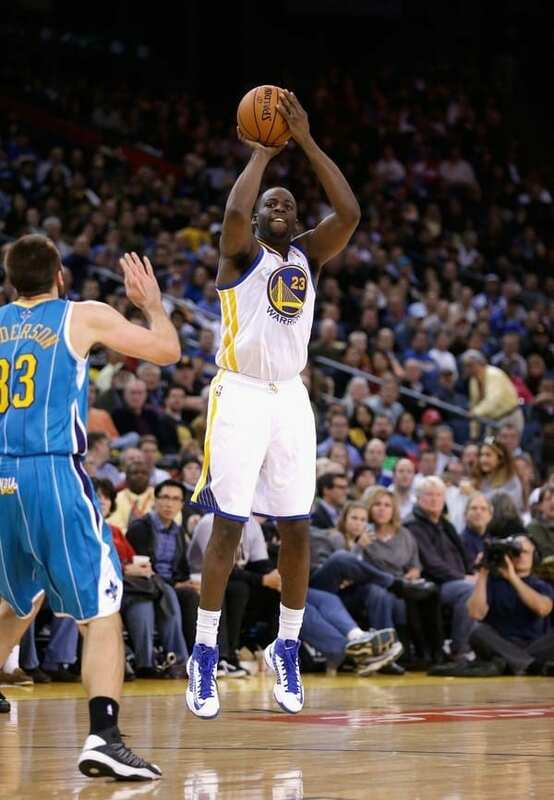 Nonetheless, standing at 6-foot-7, Green was largely overlooked by NBA scouts due to his unassuming measurements. When the first round of the 2012 NBA Draft concluded, Green’s name was still on the board. That was all the spark he needed to show just how big a mistake that was. The Golden State Warriors finally selected Green with the 35th pick, which proved to be one of the best decisions they’ve ever made. By his third year in the league, Green was already the Warriors’ starting power forward and was giving his team a little bit of everything. 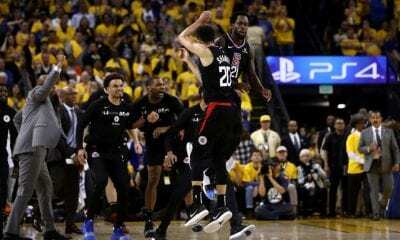 He also proved to the world that heart is just as important if not more than physical attributes, as the defensive stalwart was a key cog in leading the Warriors to win the 2015 NBA Finals. Fast forward to the end of the 2018 season and the Warriors’ beloved glue guy is a 3-time NBA champion with three All-Star selections and a Defensive Player of the Year award to his name. Safe to say Green’s “lack of size” was probably factored into the draft equation a bit too much. 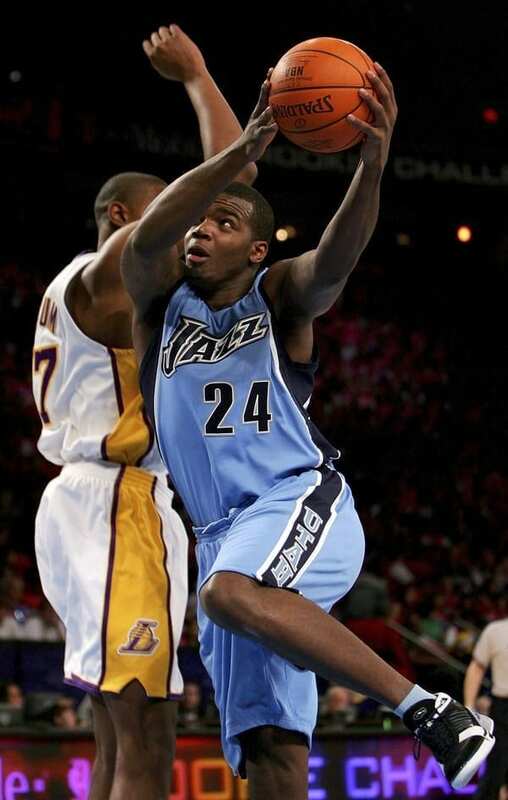 It is hard to believe looking back on the 2006 NBA Draft that, with how paper thin the talent pool was, a basketball player as gifted as Paul Millsap could have possibly been as overlooked as he was. The Louisiana-born power forward chose to play at Lousiana Tech, where he torched the competition, but it was quite likely choosing to play at this smaller school cost Millsap a shot at getting drafted higher. It wasn’t until the second half of the second round that the Utah Jazz finally selected him with the 47th pick. Millsap’s quiet demeanor and team-oriented style was a flawless fit in Utah. With each passing year, Millsap’s game progressed on all ends of the court. Then, he hit new heights when leaving for Atlanta to star on the Hawks. In the four years Millsap played in Atlanta, he earned four consecutive All-Star selections. His presence, both on and off the ball, has made him one of the league’s ultimate teammates who always seems to make those around him better. With a host of giant lottery busts like Andrea Bargnani, Adam Morrison and Shelden Williams, the remaining 29 front offices in charge of those selections are likely still losing sleep over how they could’ve made such a massive mistake. The Argentine Batman, aka Manu Ginobili, has been a staple of the NBA for nearly two decades. Even at the height of the “Evil Empire” San Antonio Spurs run, it seemed Ginobili was always the one guy who every could agree they loved. A relatively soft-spoken demeanor coupled with an advanced understanding of the game (and some flashy finesse) made the lefty shooting guard too hard to hate. Well, maybe it was a bit easier to hate him while he at least had that full head of hair. Although selected in ’99, Ginobili played overseas until 2002, but his impact was immediate. In that first season with San Antonio, he was holding the Larry O’Brien Trophy as an NBA champion … and there would be another three where that came from. 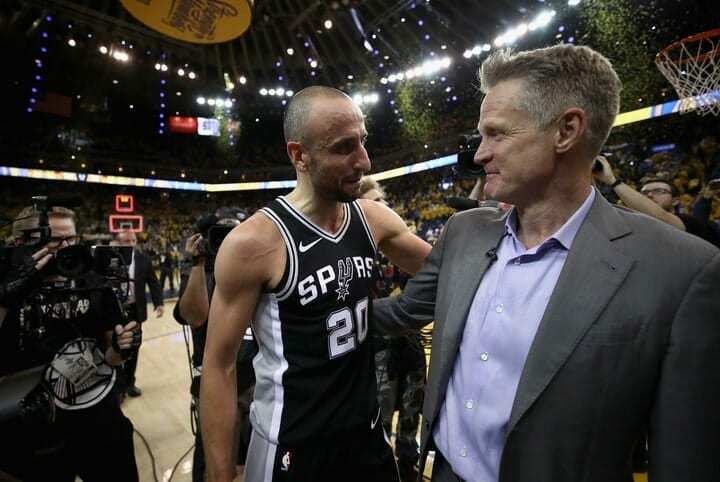 Along with the four championships, Ginobili has collected two All-Star selections, Sixth Man of the Year (2008) and two All-NBA third team selections. The Argentine legend has been a Spur through it all, playing a few careers-worth in silver and black. Talk about a perfect pick. The 2011 NBA Draft was packed with equal parts monster talent and epic duds. Somehow, there was enough promising youngsters in this class to leave the Chicago Bulls with a ridiculously lucky steal for the final pick of the first round. 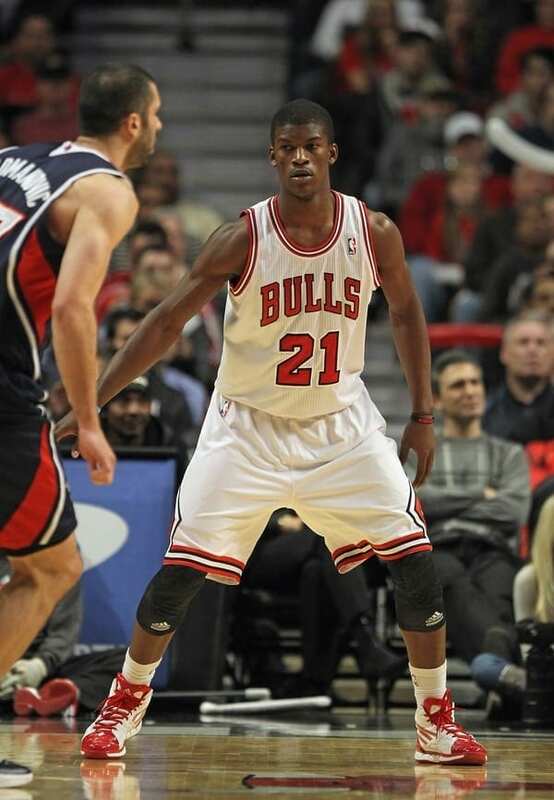 With the 30th pick, the Bulls selected Marquette’s Jimmy Butler. Even in the ridiculously talented pool of talent that made up the Big East, Butler still shined. With Derrick Rose just coming off his MVP season, Butler was little more than an afterthought in his first season. Then, Rose tore his ACL, paving the way for Butler to assume a load of responsibility. An injury-marred season for Rose the following year further thrust Butler into the limelight, and Butler did not shy from it. 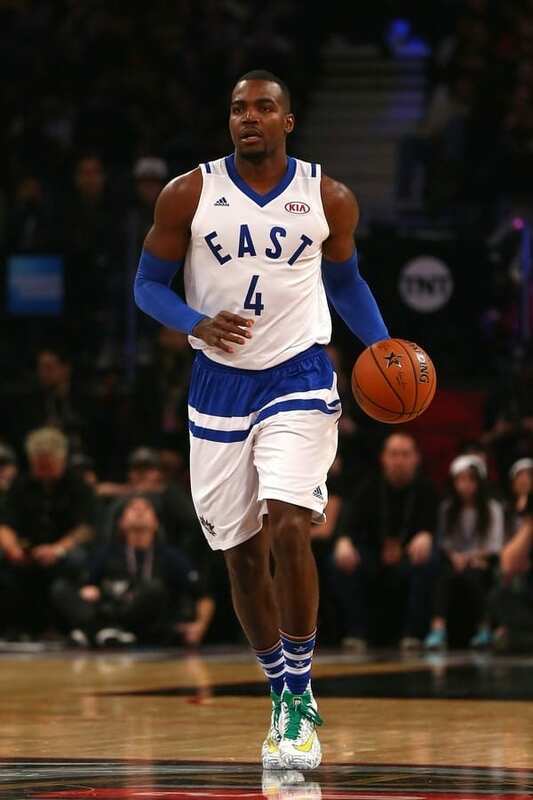 By Butler’s fourth year, he had officially taken over as Chicago’s star and was rewarded with his first All-Star selection. Butler had blossomed into one of the league’s most elite defenders, earning him All-Defensive second team honors four straight years (2015-18). His ever-improving offensive prowess also helped to earn four All-Star selections in a row. 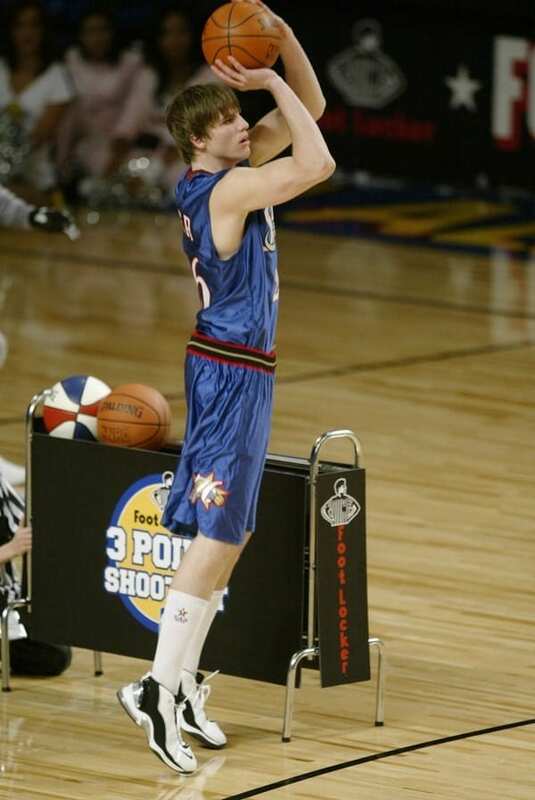 It has taken some time to realize just how big of a sleeper sharp-shooter Kyle Korver was in the 2003 NBA Draft. 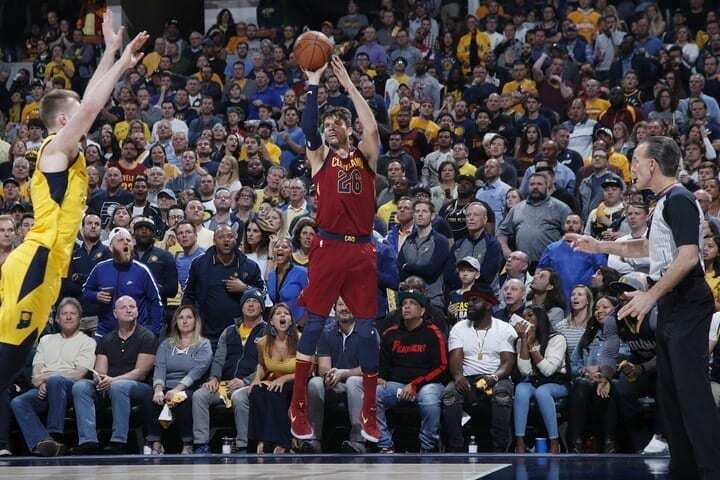 Having spent all four years at Creighton, Korver was a polished product with a body of work that made scouts know exactly what they’d be getting. Apparently, a lights out three-point shooter and nearly flawless free-throw shooter was not the highest of priorities for teams. With the 51st pick, Korver was selected by the New Jersey Nets. They ended up trading him to the Philadelphia 76ers for $125,000. Ouch. After learning the ropes his rookie season, Korver developed into a major contributor for Philly, playing over 30 minutes per game for the next three years. He delivered exactly what was expected of him – loads of threes (and a pretty insane free throw percentage too). Korver has since bounced around the league, becoming quite the journeyman and making stops in Utah, Chicago, Atlanta and Cleveland. One All-Star season in Atlanta wasn’t Korver’s only highlight. He has steadily climbed the ranks and sits up with some NBA legends as one of the all-time leaders in three-point field goals. 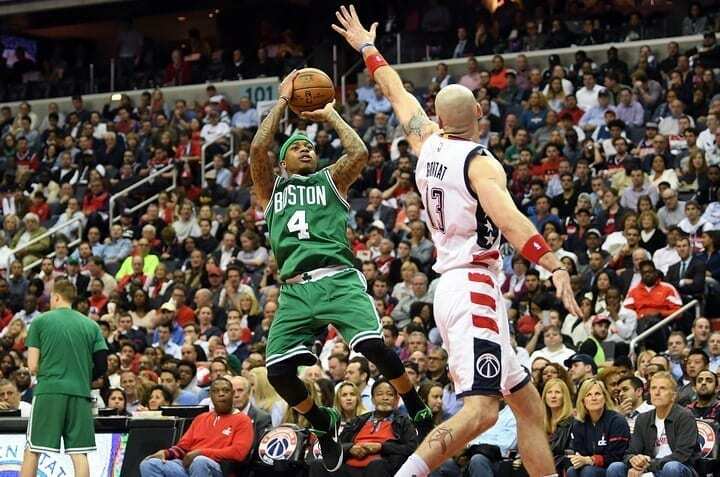 Everything about the 5-foot-9 point guard Isaiah Thomas sounds like the quintessential college basketball player whose game cannot translate to the next level. He’s a lefty with crazy handles, a pretty shot and solid understanding for the game… but he’s too short. His three years as a scoring machine at the University of Washington didn’t matter; it looked like no team had any interest in drafting him. After watching name after name leave the board, Thomas watched as the Sacramento Kings called his name with the 60th pick, the final pick of the draft. Thomas was a man on a mission, wasting no time showing that he was every bit the offensive threat against NBA talent as he was at the college level. His ability to make buckets grew exponentially each season and, by his third year in the league, was already averaging over 20 points per game. After a brief stint in Phoenix, Thomas saw his entire career take a turn for the better, as a trade landed him with the Boston Celtics. He immediately ignited his team, leading the Cs to three consecutive playoffs and earning two All-Star selections. From too small to go pro to “King in the Fourth,” IT shocked the world, proving that height does not make the man. The longevity of most big men at the NBA level is usually not too promising, especially when talking about old school ballers who played a physical game that would leave the body beaten and battered by season’s end. On the other end of the spectrum are guys who defy logic, and there’s no better example of that than the 6-foot-10 forward/center Clifford Robinson. 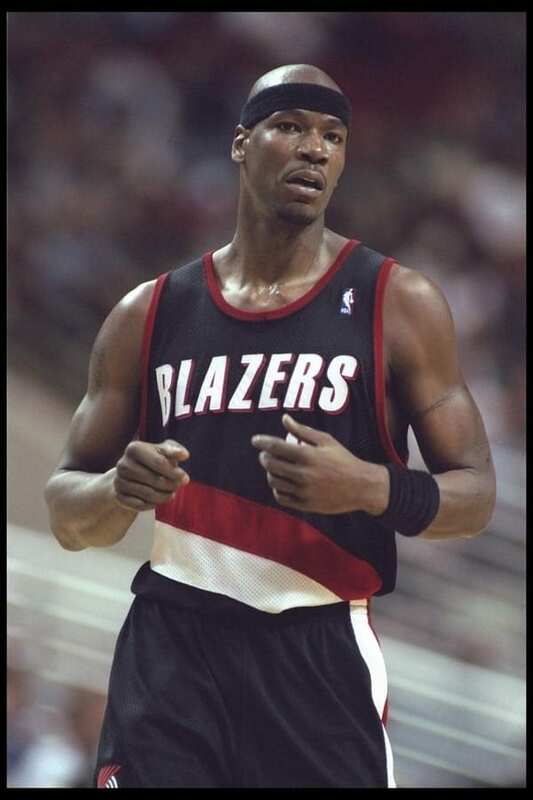 In the 1989 NBA Draft, which featured 54 total picks, Robinson was selected 36th overall by the Portland Trail Blazers. Robinson spent his first eight seasons in the league with the Trail Blazers, earning one All-Star selection in the process and serving as one of the primary scorers while helping them to eight straight playoff appearances. 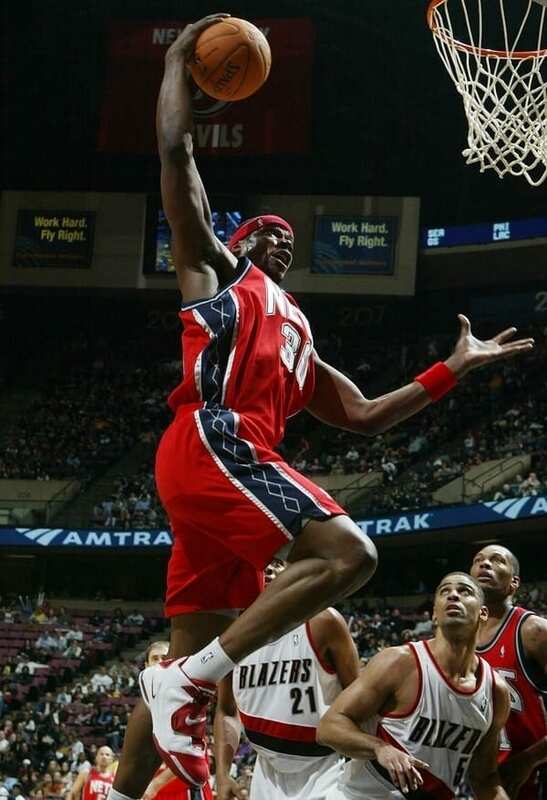 After Portland, Robinson spent time in Phoenix, Detroit, Golden State and New Jersey, playing until the ripe age of 40. In the 18 seasons he spent traveling team to team, he served in roles as a small forward, power forward and center, making the playoffs all but one year! By the time he retired, Uncle Cliffy was the most jaw-dropping balling old man on the hardwood. Amongst the 57 picks of the 2002 NBA Draft (the Timberwolves were forced to forfeit a first -round pick), there were a handful of great talent. Yao Ming, Amar’e Stoudemire and Caron Butler rounded out the top of the class, but the list of no names on the other side of the coin make for a very stark contrast of good and bad. There was at least one great gem in this draft however in Carlos Boozer, though how he fell to the second round is a mystery. In college, Boozer was a superstar at Duke and was a leading force in winning a national championship for the Blue Devils. None of that was enough to make Boozer a first-round pick, leaving him available until the Cleveland Cavaliers drafted him 35th overall. As a rookie, Boozer was quick to make an impact, and built on that success averaging a double-double his sophomore year. The Jazz saw Boozer’s worth and signed him to a massive six-year deal worth a cool $70 million. With Utah, Boozer earned two All-Star selections and was one of the leading names in a fan-favorite team that made some unforgettable playoff runs. Fast forward 13 years later and Boozer concluded an incredibly successful NBA career. 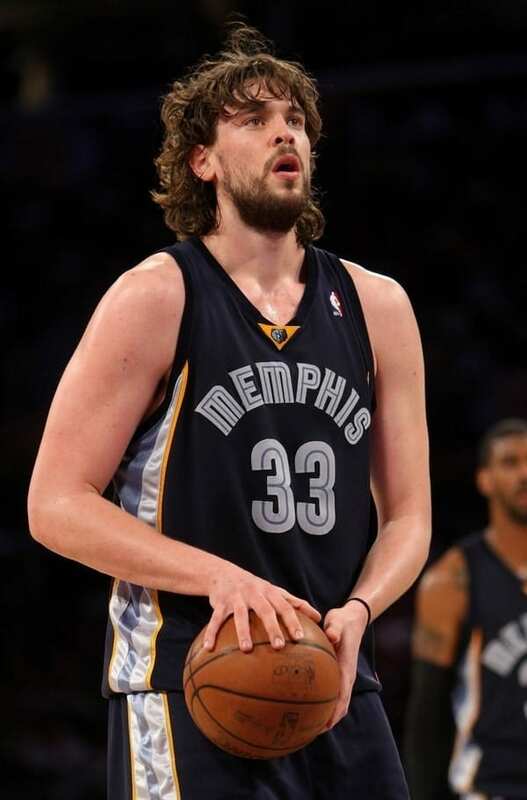 Prior to 2007, Marc Gasol was little more than “Pau Gasol’s sibling” to much of the NBA world. The 7-foot-1 Spanish center had an inch on his All-Star older brother, but he also appeared to be in far worse shape. That little tidbit about Gasol’s weight proved to be a decisive factor in why the incredibly talented center managed to slide so far down in the draft. 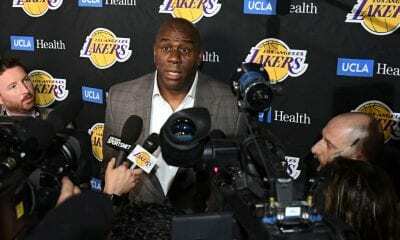 It wasn’t until the Los Angeles Lakers were up in the second round with the 48th pick that he was finally taken. That ended up leading to a fascinating trade that sent Marc to Memphis and Pau to Los Angeles in a familial flip. Memphis scored bigtime, as that trade ended up landing them their franchise center. Gasol was the Grizzlies’ savior. He took a team enduring overwhelming struggles and lifted them out of relative obscurity into a consistent playoff powerhouse. A 3-time All-Star and 2013 Defensive Player of the Year led the Grizz on six playoff runs, five of which came in a row. 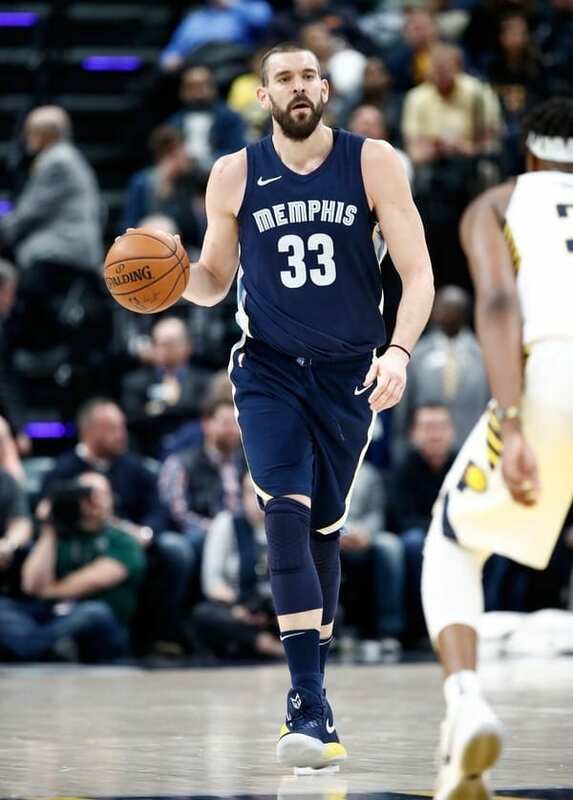 After years of sitting at the bottom of the league with one hopeless season after another, who would have thought Memphis would find its savior late in the second round? 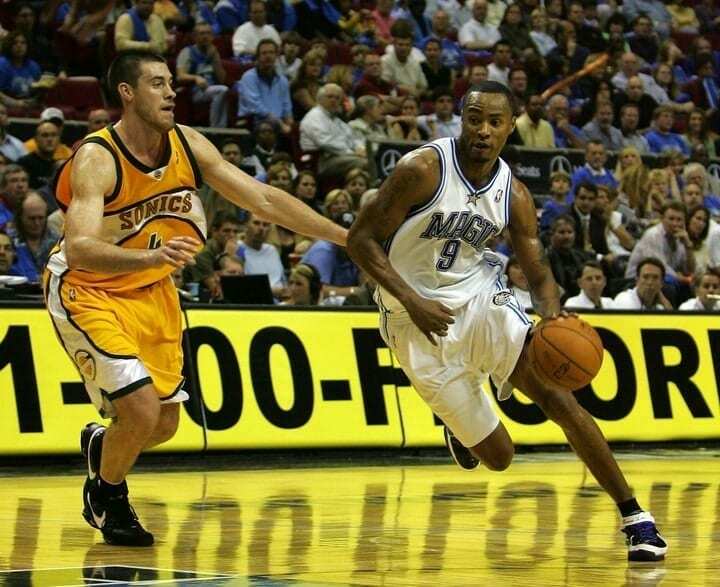 Rashard Lewis made the bold decision to forego a college education and take his chances in the NBA draft straight out of high school. The 1998 class provided a collection of talent that put Lewis’ shot at being a lottery pick in jeopardy, but how far he fell was entirely unexpected. It wasn’t until Round 2, Pick 32 that Lewis was finally called upon by the Seattle SuperSonics. All of those names called before him officially kicked off the start of the Rashard Lewis revenge tour, and oh was it sweet. 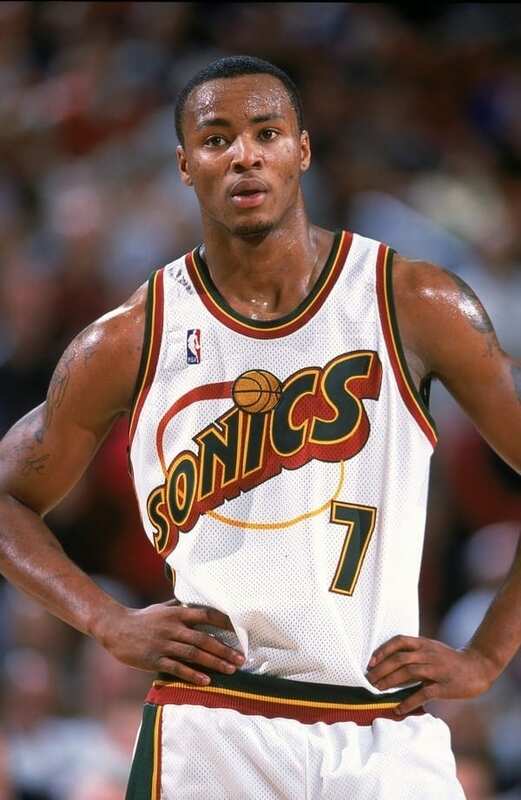 Alongside Hall of Famer Ray Allen, Lewis served as the face of Seattle. He was a scoring machine with a deadly three-point shot and a knack for finding the rim. Although he only named to one All-Star team with Seattle, an impressive nine-year run landed him one of the largest contracts ever at the time. 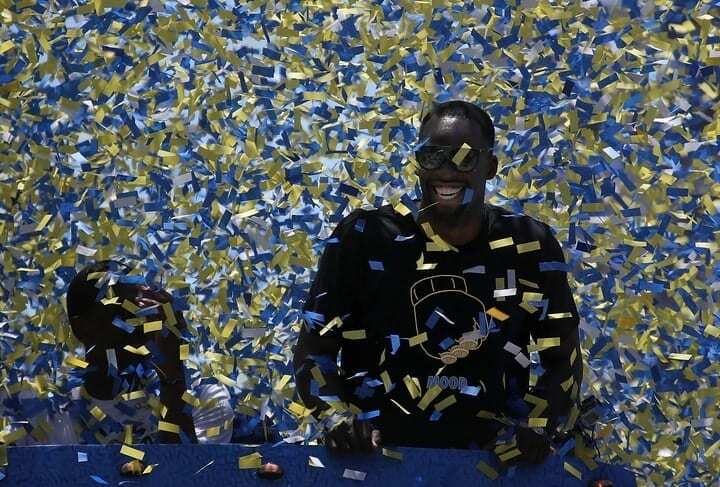 His six-year $126 million contract definitely didn’t end up being as worthwhile as the Orlando Magic hoped, but he did help the team to an NBA Finals appearance in ’09. During the 2012-13 season, Lewis finally won a championship as a member of the Miami Heat. All in all, that sure doesn’t sound like the career of your average second-round pick. OK, so this is certainly one with a very big asterisk, considering the rollercoaster ride of an NBA career this sleeper had. 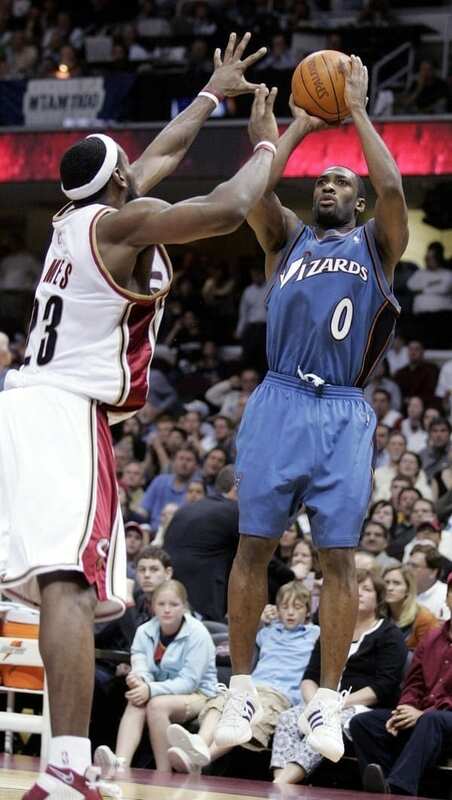 That being said, how Gilbert Arenas fell as low in the 2001 draft as he did is baffling. In two collegiate years with the Arizona Wildcats, Arenas was a one man wrecking crew. 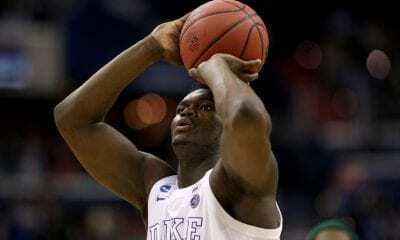 The unstoppable scoring machine’s NCAA efforts would seem like more than enough to land in or near the lottery. Then again, Tony Parker was only selected two spots ahead of him, so logic was out of the equation. Finally taken by the Golden State Warriors with the 31st overall pick, “Agent Zero” was already tearing apart defenses by his sophomore season as the Bay Area’s starting point guard. Arenas was unstoppable with the Wiz, ripping three consecutive All-Star season with some of the most dazzling offensive displays in the league. 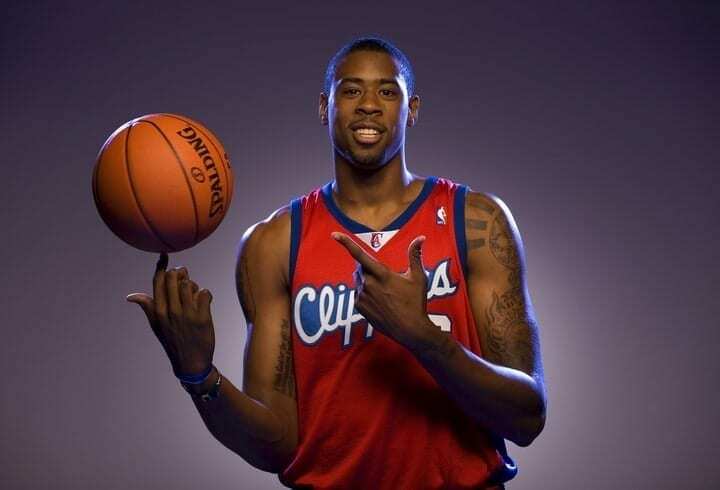 His absurd athleticism and knack for burying buckets landed Arenas an out of this world six-year deal worth $111 million in 2008. Of course, that’s when things took a turn for the worse and the infamous locker room gun incident occurred. 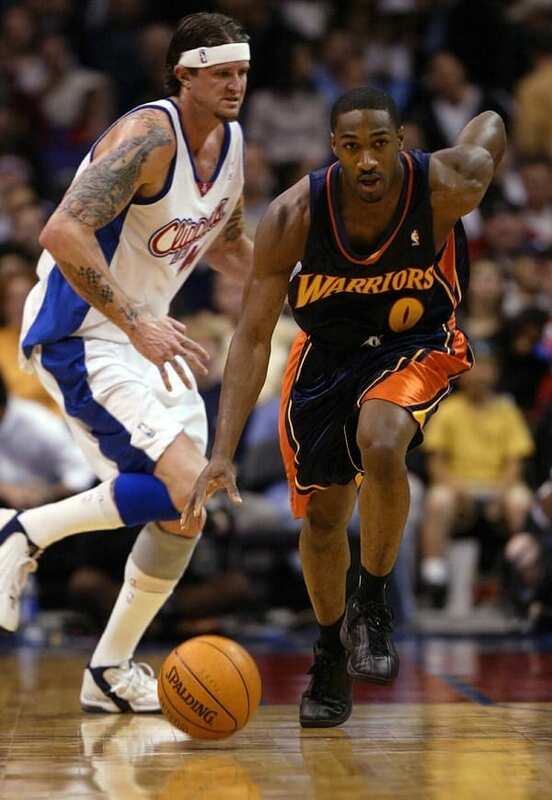 Arenas made a series of terrible decisions that led to an early NBA exit and loads of “what-if” questions. Before factoring in Arenas’ “cavalier” ways, he was one of the best in the game… until he wasn’t. 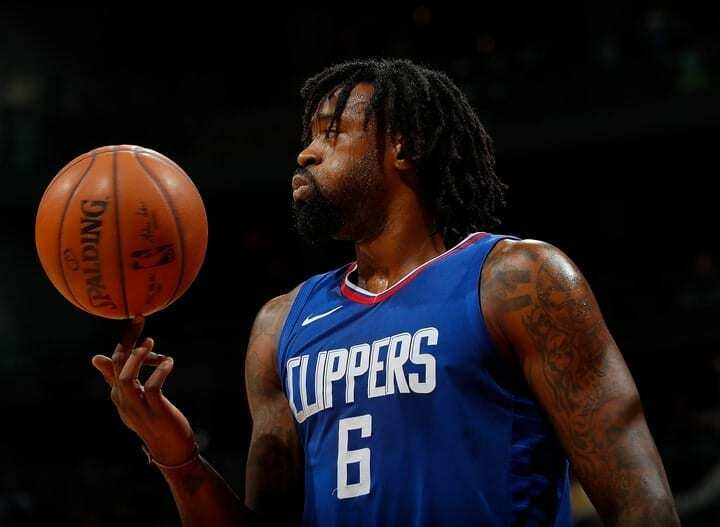 In this edition of “How could he have possibly fallen so far?” we look veteran center DeAndre Jordan, who somehow fell to the 35th overall pick in the second round. An unpolished product that only spent a year at Texas A&M, Jordan’s raw athleticism was superb. None of the teams seemed willing to develop Jordan’s game until the Los Angeles Clippers finally took him under their wing. By his third season, Jordan had asserted himself as the franchise center, and that set up a classic trio. That trio included Chris Paul and Blake Griffin to make up the beloved “Lob City.” All dunks, all day. Jordan’s rebounding and field goal percentages were off the charts insane, as it was literally a jam or bust for scoring. Lob City dunked its way to six straight playoff runs in thrilling fashion. 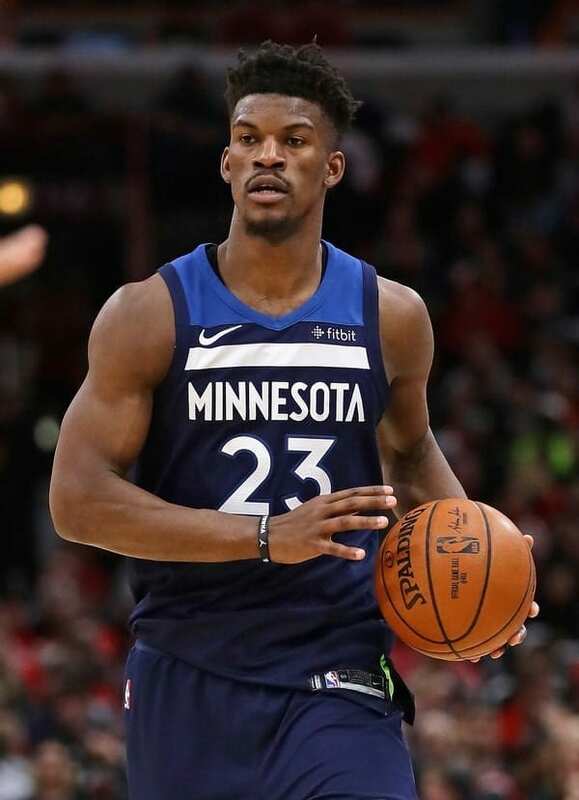 Along with one All-Star selection (2017), Jordan’s made the esteemed All-NBA first team (2016), NBA All-Defensive first team twice and led the league in rebounding twice. Yeah, maybe just a smidge better than that of a second rounder. The Utah Jazz sure knew how to pick them. In the 1982 NBA Draft, rules were much different with 10 rounds that totaled 225 picks. With only 23 teams in the league at the time, those 225 draft picks only resulted in 64 players who actually saw any NBA action. The numbers of top tier talent dwindle even more, as only seven of those 64 players were eventually named All-Stars at some point in their career. 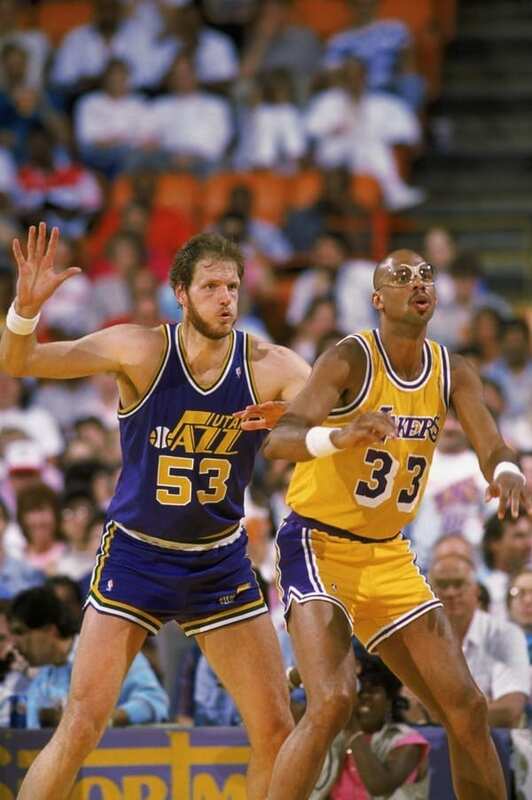 One of those athletes was 7-foot-4 center Mark Eaton. Incredibly, the Jazz didn’t pick him off the board until the fourth round with the 72nd overall pick. Eaton was a force of nature in the paint. Along with his towering height was a frame built to body up bigs. Although Eaton wasn’t much of a threat on offense, his defense was sensational, as evidenced by his two Defensive Player of the Year awards. Eaton led the league in blocks four times, earned one All-Star selection (1989) was named to the NBA All-Defensive first team three times in an incredible 11-year career. 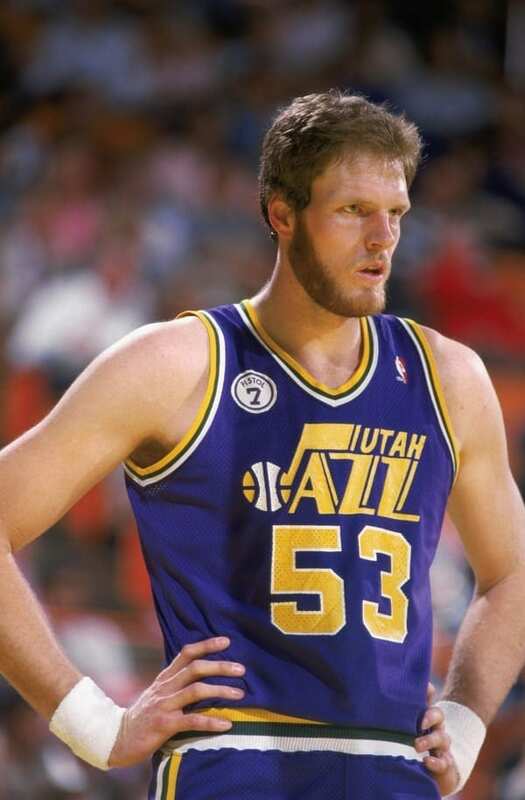 Best of all, the Jazz landed this dominant defensive center for the entirety of his career. Tony Parker takes the lead here as the highest draft pick of the bunch, but that doesn’t excuse the major mistakes most NBA teams made in skipping over this special talent. The 2001 NBA Draft saw some all-timer draft busts, most notably the ever-out-of-shape Eddy Curry and the infamous No. 1 pick, Kwame Brown. While those were some rough first rounders, the San Antonio Spurs landed yet another monster steal with the final pick of the round, 19-year-old French point guard Tony Parker. Even as a rookie, Parker served as the starting point guard and primary ballhandler. Parker became a keystone of the Spurs’ success, dictating the pace and play of the game, as he helped push the Spurs to four NBA championships. He played such an integral role in San Antonio’s 2007 championship that he was named NBA Finals MVP. Along with the championships, Parker has also earned numerous individual accolades. He has earned six All-Star selections and been named All-NBA second team three times. 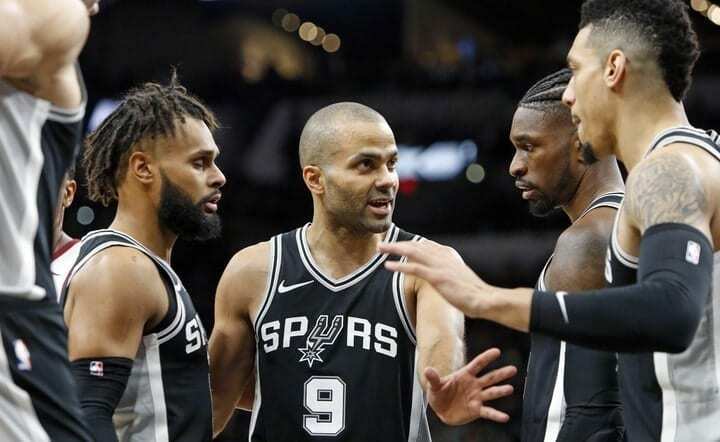 Even as his minutes taper off in his older years, Parker remains a cornerstone of the team and a leader both on and off the court.